I have to say I’m happy the election is over. Now I can get some sleep. But first some analysis. The key takeaway for me is that the next four years will be very interesting. A progressive slate won a majority yesterday but it is split between 3 parties and an independent mayor who have fairly different ideas in how to fix the housing crisis in Vancouver. The five NPA councillors will likely form a unified opposition, although there is a chance of some collaboration with the other councillors. There were 5000 fewer votes cast in 2018. That’s disappointing. The city needs to invest in more scantron machines. Even with less people voting on election day this year, almost every polling station had lineups throughout the day and there were several reports of people abandoning their ballots because they couldn’t wait an hour to have it scanned. Double the number of machines and the problem disappears. Even though we didn’t elect our first female mayor, women did extremely well yesterday (8/10 councillors, 2/7 park, 6/9 school), but visible minorities struggled. School board is the only place where there is any diversity. The rest is very, very white, which is not reflective of Vancouver’s cultural diversity. If you add Kennedy Stewart and Shauna Sylvester’s votes together and compare that to Ken Sim, Hector Bremner, and Wai Young you get remarkably similar results to the last election, at least for mayor. Tier 2: NPA, COPE, and OneCity – fought for the remaining spots and each elected multiple candidates. Tier 3: Vision – elected 1 person, but was otherwise wiped out. Tier 4: Everyone else – took lots of votes from the major parties but didn’t come close to winning. The high number of qualified candidates running for council this year created wider distribution of votes than in 2014. The tail is much longer and fatter this election. 38% of the votes this year were for someone who wasn’t even in the top 20 (compared to 22% in 2014). Vote splitting affected all the races and lead to some winners having very low vote percentages. We definitely need some form of electoral reform. Mayor Kennedy Stewart won with 28% of all votes. Councillor Sarah Kirby-Yung won with 25%. Park Commissioner John Irwin won with 26%. School Trustee Allan Wong won with 27%. The night’s only big winner was the Green Party. They came within 3000 votes of having 4 city councillors elected. Adrian Carr, Pete Fry, and Michael Wiebe now form the bulk of the progressive slate on council and it will be interesting to see how they use their new power. Adrian Carr has spent the past 7 years opposing a lot of Vision’s actions, especially around housing. Now she has the challenging role of making policy. They almost did it. After trailing badly in the polls, Ken Sim almost sneaked out a victory for the mayor’s chair, which would have given the NPA a majority. Instead they have the biggest block of councillors (5) and will see if they can swing someone to their side to get their agenda through or just oppose everything for the next four years. They did ok on school board and park board picking up a few seats but are outnumbered by the left-wing parties. I’m sure COPE is happy to have broken onto council after a long absence but disappointed that their good polling numbers and Jean Swanson’s popularity didn’t translate into more success. Swanson will be another influential vote and it will be interesting to see how she applies her years of protesting to governing. I’m disappointed OneCity didn’t do better but I think they’re happy to have broken into council with Christine Boyle’s victory. They also won a school board spot (Jennifer Reddy), but incumbent Carrie Bercic lost her spot which is a huge loss. Just like COPE, it was mixed results for them. Nearly shut out after 10 years of majority rule, Vision Vancouver was the biggest loser last night. Many people don’t think the party will exist in four years. For all the talk about it being the year of the independent, they struggled yesterday. The only independent who won was Mayor Kennedy Stewart. No one else finished even close, despite lots of attention and some really qualified candidates. The top independent was Sarah Blyth who finished 19th and almost 15,000 votes away from a spot on council. The new parties also struggled. Vancouver 1st, YES Vancouver, Coalition Vancouver, and ProVancouver had a lot of hype and social media presence but it didn’t translate into votes. The closest any came to winning a seat was Kevin Low of Vancouver 1st who finished in 24th. My favourite way to learn about the candidates and issues this year was podcasts. The Cambie Report and This is VANCOLOUR had some great interviews. It was cool to be part of the conversation this year. I’ve blogged about elections in the past, and had some traction, but this year I had thousands of page views every day, was averaging 10,000+ impressions a day on twitter, and got mentions in the Vancouver Courier, Globe and Mail, and CBC. More importantly, I got messages from friends and complete strangers thanking me for the election resources. That made all the late nights compiling charts and summaries worth it. I’m glad that were thousands of people who took the time to educate themselves and read resources like this blog. But it’s clear from the results that most Vancouver voters vote based only on the party name. That’s why the NPA and Greens did so well, and the new parties and independents struggled. It wasn’t because their candidates weren’t as good. A great example of this is Rob McDowell. He ran in 2014 under the NPA banner and got 53,965 votes and finished in 15th place. This year he ran as an independent and only managed 11,839 votes. Same candidate, same experience, same ideas and priorities but 42,000 votes less. Update: Some interesting exit polling data from Mario Canseco. We’re less than a week to go to election day. 18,000 Vancouverites have already voted. If you’re not one of them and are looking for more information, here’s a collection of survey responses that you might find helpful. Need to Know: Shauna Sylvester, Kennedy Stewart, OneCity, Vision, and COPE were the most enthusiastic toward new bike infrastructure. Pete Fry (Green) was positive but more hesitant. Notable Omissions: No response from Hector Bremner, Adriane Carr, or anyone in the NPA. Need to Know: Greens want new pocket parks to increase green space, NPA wants private partnerships. Notable Omissions: No response from Vision Vancouver. Need to Know: The survey is long and I didn’t read all the answers, but Patti provides a good summary. SOGI is a divisive issue. Instead of reading all the responses, just read Patti Bacchus’s endorsements. Need to Know: Everyone that responded is committed to tougher GHG reduction targets and annual reporting. Notable Omissions: No response from Kennedy Stewart, Adriane Carr, the NPA, or Vision Vancouver. Need to Know: OneCity and the Green Party support Meatless Mondays. Almost all respondents agree with a ban on exotic pets. Notable Omissions: None of the leading mayoral candidates plus Vision Vancouver. We’re less than a month away from the election and we now have platforms to judge the candidates by. Last month, I did a high level overview of the parties. Here are some of the more interesting ideas floating around in their platforms. Funding is now secured for the Broadway subway line, from VCC-Clark to Arbutus, with construction beginning in 2020 and finishing in 2025. Some local politicians are arguing that we should build it right the first time and extend it all the way to UBC. Normally transit priorities are set by Translink which is a regional body and needs buy in from other cities in Metro Vancouver, but as outgoing councillor George Affleck points out, the Broadway line is not funded by Translink so the city could fund the extension to UBC without regional buy-in. 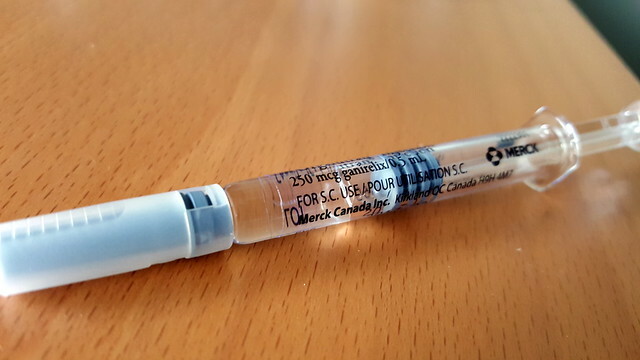 Considering that opioid overdoses are killing hundreds of Vancouverites every year, it’s surprising how little attention politicians are giving it. Here’s a roundup of the ideas proposed by the politicians who are brave enough to tackle what is obviously a complicated issue. Leading the charge for a better response to the opioid crisis is Sarah Blyth, the founder and executive director of the Overdose Prevention Society and independent candidate for council. She’s proposing more overdose prevention sites, street drug checking programs, and a wider range of treatment options. The other politicians who are talking about the issue mostly agree with Sarah Blyth, and are also calling for various degrees of drug decriminalization. There are a few groups talking about changing the way we vote in Vancouver. OneCity wants to have a citizens assembly to propose an alternative voting system, and lower the voting age to 16. Shauna Sylvester has proposed a hybrid system of 5 wards and 5 at-large councillors, with ranked ballots. Independent candidates Graham Cook and Katherine Ramdeem support PR. Unlike in past elections where bike lanes were one of the major issues, few parties are talking about them, other than Coalition Vancouver who wants to rip them out. I guess that’s progress but I still want to know where the parties stand. Hopefully we’ll know more when Hub releases its survey results in early October. Tanya Paz, from Vision Vancouver has chaired the Active Transportation Policy Council since 2013. Both Brandon Yan and Christine Boyle are regular cyclists and OneCity has a good active transportation policy. Camil Dumont, Green Party parks board candidate, is another cycling advocate. Independents Shauna Sylvester, Adrian Crook, and Graham Cook are advocating for all ages bike routes. Housing deserves its own blog post considering how much attention its been getting this election. Stay tuned. We know now who is going to be on the ballot in Vancouver on October 20, 2018. And it’s a long, long list. Especially for mayor and city council where there will be nearly twice as many candidates as last year. 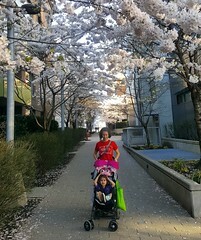 Yes Vancouver has a council candidate that lives in Burnaby, Glynnis Chan. ProVancouver‘s Breton Crellin lives even farther from Vancouver, in Pitt Meadows. Coalition Vancouver‘s candidates are clustered in the south half of the city. School board sees the biggest east-west divide, with the NPA and Coalition representing the west side and OneCity, Vision, COPE, and Green representing east Van. Independent candidates Kelly Alm and Gordon Kennedy are running for both council and school board, and apparently that’s allowed. Here’s the map from 2014 and 2011. If you want to know more about the parties running candidates this election, check out this blog post. TL;DR – If you want a list of who to vote for, wait for the next blog post. This is just about the parties. OneCity is my favourite. Vancouver is about to enter one of the most interesting and uncertain elections in recent history. The mayor and most of the current councillors are not running for re-election, a bunch of new parties with similar sounding names have formed, and new campaign finance rules are limiting the influence of big moneyed donors like developers. Here’s my attempt to distill the issues and help make you an informed voter. Note, this is my personal opinion and is completely subjective. I have plenty of biases – I’m a parent, renter, computer nerd, environmentalist, cyclist, and urbanist. Election Day is October 20, but you can vote early starting on October 10. You will be voting for 1 Mayor, 10 city councilors, 7 parks board commissioners, and 9 school trustees. If you’ve voted in the past, there are 2 notable changes this year. The order of names on the ballot will be randomized. The ballot is long, and a lot of voters just tick the first few names in each category. In elections past, most of the winners had last names starting with A, B, C, or D. That will change this year. You can vote at any polling station in the city, not just the one assigned to you. So if you’re at the park or library on Saturday and there’s a polling station nearby, you can vote there. If you want more details on how voting works, check out the city’s website. The official list of candidates won’t be known for another week and many parties are only starting to release their platforms. We do know there will be at least 10 different party names on the ballot. Some you will recognize and some are brand new. Most of the parties are only running a handful of candidates for each position, so you’ll probably end up voting for candidates from several parties. I’ll release my list of endorsed candidates in the next few weeks. In the meantime, here’s a look at what the parties stand for. 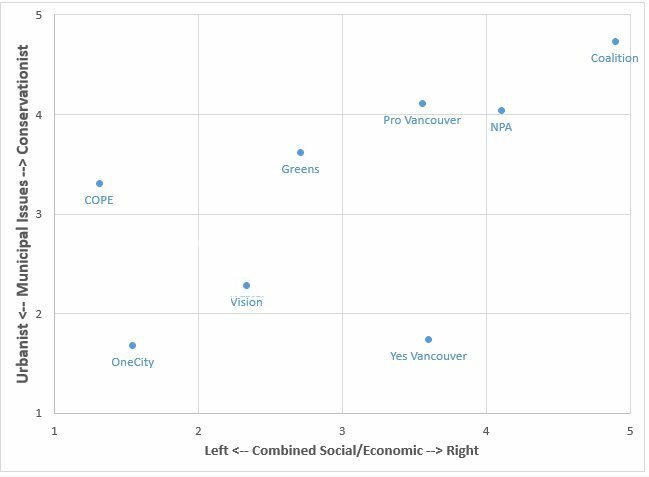 The Cambie Report‘s listeners did a great job classifying the political parties along three axis: the traditional left/right axis, plus a municipal axis that classified parties as urbanist or conservationist. You might know COPE as a left-wing party and the NPA as a right-wing party but the urbanist/conservationist axis is more interesting and can help to differentiate the parties from each other. An urbanist party is one that looks to actively change the shape of the city to feature more walkable neighbourhoods, mixed-use developments, bike lanes, and density (see the New Urbanism principles). In Vancouver, they’re often supported by the YIMBY and Abundant Housing groups. A conservationist party is more concerned about preserving the current character of neighbourhoods and limiting change. They favour heritage preservation, limiting growth, restricting immigration, and lots of consultation with neighbourhood groups. 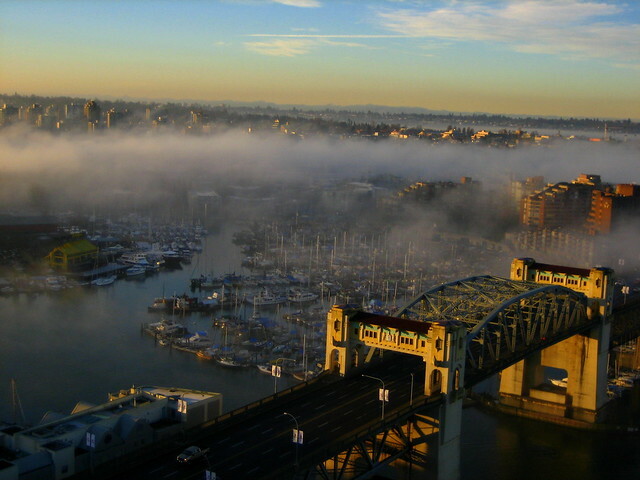 In Vancouver, they’re often supported by the NIMBY and HALT groups. The party that has dominated city politics in Vancouver since 2008 under the leadership of Mayor Gregor Robertson. They’re responsible for introducing food trucks, backyard chickens, bike lanes, the Arbutus Greenway, and a plastic straw ban to Vancouver. Vision has seen their popularity drop as they’ve been blamed for the housing crisis, and almost all of their incumbents are not running for re-election, which is never a good sign. They are widely criticized for not doing enough to keep Vancouver affordable and their close connections with developers, but in the past year they’ve introduced an empty home tax, restricted Airbnb rentals, and started construction on 600 units of temporary modular housing. 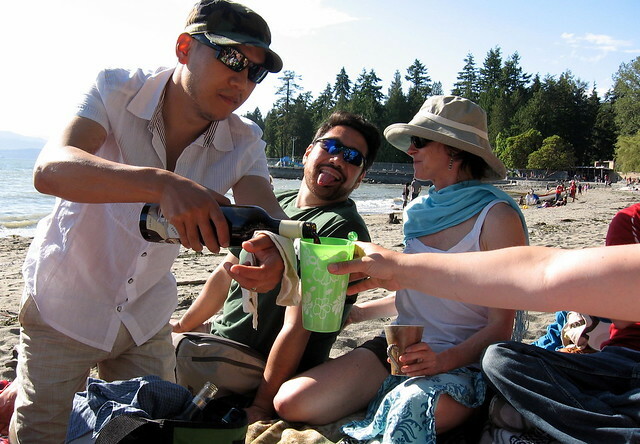 Is it too little too late for Vancouverites fed up with the skyrocketing cost of living? Probably. Vote for them if… you think the city is on the right (cycle) track. The right-wing opposition to Vision over the past 10 years. They’ve traditionally been the voice of business owners in Vancouver, but the party is in turmoil. Of their 4 potential mayoral candidates, one left the party (or was kicked out) to start his own party (Yes Vancouver) and another joined Coalition Vancouver. In the past two elections, they’ve campaigned on opposing Vision’s bike lane expansion and have a council candidate (Colleen Hardwick) who has actively campaigned against bike lanes in the past. They’ve seemed to soften their tone so far, but I’m skeptical. Their housing policy is best summarized as “gentle density but only if neighbourhoods want it”, which is pretty much status quo for Vancouver over the past 20 years. Vote for them if… you’re nostalgic for the days of Mayor Sam Sullivan. The Green Party has a lot of momentum and a great brand. They’ve had success in recent provincial and federal elections, and in Vancouver they have elected representatives on all three boards (council, school, and park). As an environmentalist, I should be a natural Green Party supporter, but I disagree with many of their policies. 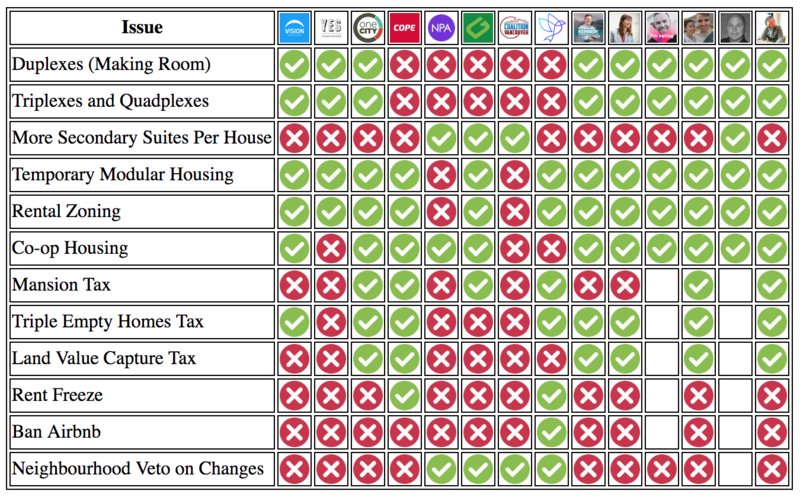 As you can see on the chart above, the Green Party leans toward the conservationist ideals, closer to the NPA on many issues than Vision Vancouver. They’ve opposed the Broadway subway, densification, and even smart meters – all policies that have received vocal opposition even though they’re important environmentally. They also opposed Amazon expanding the number of developers it employs in Vancouver. That said, they have a few strong candidates that I may vote for, especially on park board. Vote for them if… being ‘green’ is more important to you than actual policies. A fairly new party to Vancouver. They formed in 2014 and elected their first representative during the 2017 by-election. They’re a young (with candidates under 40), urbanist, left-wing party and have been getting a lot of buzz from people who have supported Vision in the past. They’re not running a lot of candidates (only 2 for council and 3 for school board) but in my opinion they’re the strongest candidates with the best ideas. Their housing policies include policies to crack down on speculation and build more affordable housing across the city. Vote for them if… you want a hip, urbanist party to have influence in local politics. The traditional left wing-party in Vancouver, but they’re a spent political force these days, having been completely shutout in the past 2 elections. Both Vision Vancouver and OneCity were originally formed from members abandoning COPE. While OneCity is running a new generation of millennial candidates, COPE is running with the old-guard of Vancouver’s left-wing. Both Jean Swanson and Anne Roberts are in their mid-70s. That said, Swanson is a fighter and she probably is the party’s best hope of electing someone. They’ve distinguished themselves from the other parties by strongly advocating for a rent freeze and mansion tax. Vote for them if… you think class warfare is what Vancouver needs. Formed only a few weeks ago when the NPA refused to allow one of their councillors, Hector Bremner, to run for mayor. He left the party and formed a new one. They seem to be positioning themselves as the only right-wing party that strongly supports urbanist ideals. 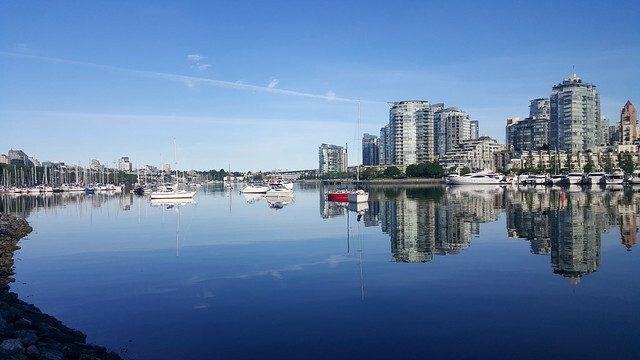 They want to dramatically densify the single-family neighbourhoods of Vancouver’s west side. They have the bottom-right quadrant of the political axis above all to themselves and it will be interesting to see how they do. They’ve got some rich backers and already have billboards up before the campaign has officially started, circumventing the campaign finance rules. 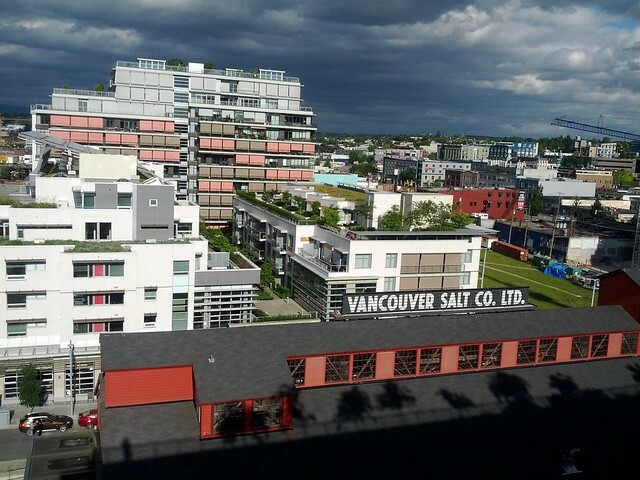 Vote for them if… you want to mass rezone all of Vancouver’s west side. Started by the former Conservative MP who once compared Stephen Harper to Jesus, Coalition Vancouver’s driving force is ripping out bike lanes and ending the war on cars. Vote for them if… you hate bike lanes. Yet another new party with a similar sounding name. They hate Airbnb, developers, and foreign buyers. They have some bold ideas to fix Vancouver’s housing market by controlling demand, some which deserve attention, but their candidates and supporters are some of the most toxic trolls on Twitter. They’ve also released one of the worst transportation platforms I’ve ever seen, with a promise to get rid of distance based pricing for transit and no mention of cycling. Vote for them if… you think a bunch of online trolls should run the city. Many pundits are calling this the “year of the independent” (1, 2). There are a bunch of really strong candidates with good chances of winning. Some of the ones I’m keeping my eye on are: Kenedy Stewart, Shauna Sylvester, Sarah Blyth, Adrian Crook, Rob McDowell, Graham Cook, Erin Shum, and Wade Grant (note: this is not an exhaustive list). Vote for them if… you think political parties are toxic. Vote for them if… you want to throw away your vote. 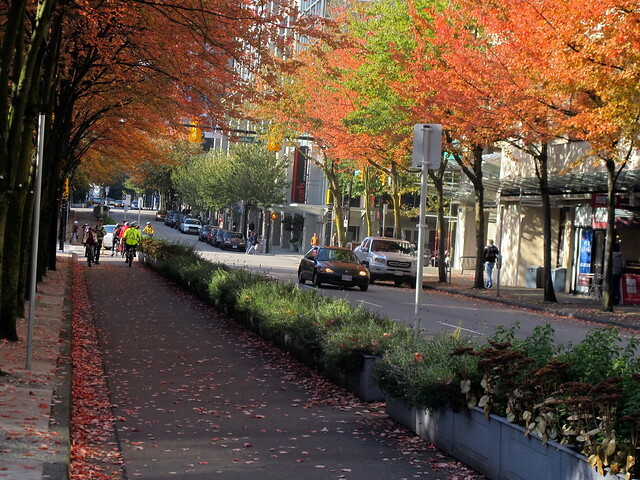 Images from the City of Vancouver and the Cambie Report (with some tweaks). In the next two weeks I’ll release my endorsed candidates. I have no idea who to vote for mayor (Shauna Sylvester, Kenedy Stewart, and Ian Campbell all have potential). For council, the OneCity candidates are a lock for me and I’m considering candidates from the Green Party, COPE, Vision, YesVancouver, and a few independents to round out my ballot. I’ve barely started to look at school and park board candidates. If you have any recommendations on candidates you like, please add a comment.